Despite what some of the backlash to the recent university strikes would have you believe, lecturers do not only work 24 weeks a year. Summer is yes, trying to take a breather, but it’s also getting in your newsroom visits, binning all your lectures and starting them from scratch. Yet again – because things have moved on so quickly. And fine-tuning how best to teach traditional journalism skills to a generation which believe they were streamed, not born. There’s no point churning out yet another blog on how digital journalism has engulfed curriculums. We’ve read, and acknowledged, this is a new world. Where the living, breathing essentials of courses are now more expansive than ever – media law, public affairs, how to actually string a sentence together, how to interview, how to structure, shorthand 100wpm, how to report, how to FIND, how to research, how to verify, how to film and take photos, how to film differently for mobile phone, how to re-write for web, how to use socials for maximum impact. That’s now Journalism 101. On top of that it now includes how to code, how to create websites, how to programme multimedia packages. Become the Alex Murphy of Journalism. (of course no millennial knows who Alex Murphy is – bet you’re now Googling it too. I’ll save you the bother. It’s Robocop). It’s not about whether we have to teach these skills. Most progressive courses don’t even have the word digital in the title now, as that’s a given. It’s how we teach them. How do you teach journalism to a generation which will be driving cars that have developed their own intelligence? I’m sure you think that, but we’d rather not watch you choke on a delightful little contempt issue. Teaching and learning methods, just that phrase, sounds like a snooze fest. But if everything we do, every thing we utter, every line they produce is now all on a giant unpoliced stage, we need to engage them quicker and faster. I’m proud that when our students were caught up in the Westminster Attack and locked in Portcullis House while on a field trip, there wasn’t one OMG terror attack. FML. tweet between them. What we got were considered, responsible, ACCURATE fact-based tweets that got the national media scrambling for interviews. Yes these are digital natives. Yes we have to teach them to use these skills journalistically. But how do you do that, how do you do any of it, without overhauling teaching methods completely? Despite the doom and gloom around jobs in journalism, our student numbers are booming. And employability is actually at an all-time high. Journalism skills are so transferable, journalism graduates across the country are going into jobs that didn’t even exist when they wrote their personal statements on their UCAS forms. This year my colleague and I screwed up the rule book when it came to contact hours and traditional teaching and learning. Despite the warnings that students would whine about paying £9k a year to be given lectures online, actually they embraced the flexibility of it. There’s so much you can do in an interactive multimedia online lecture package that you can’t do standing in front of a Powerpoint presentation. You can splice in videos and quizzes every five minutes to ensure they have absorbed a concept before moving on, test their news sense from that hour, get a much better idea of what they understand rather than just presuming it. You can screencast how YOU would actually write the story you’re about to give them, they can watch you word by word. And they can do it without having to get into a lecture theatre for 9am. Not because they are lazy and hungover. Far from it. Now loans, ALL loans, including the living loans are means tested, students can’t even get a big enough loan to cover the rent, let alone eat. More and more students face a long commute from home because they can’t afford halls of residence. Or work nights to be able to afford the luxury of a university education. Or simply have to get out on patch because there was an armed robbery that morning and the news doesn’t stop for lectures. The pressure, extreme pressure, on them is very, very apparent in the amount of mental health issues seen in universities across the country. So maybe, rather than using that hour for chalk and talk, flip the classroom, give them the tools first in the way the can relate and then use the actual face time (as in actual face time. Not Facetime) for that crucial one-to-one feedback that they need. Although there’s an argument you could do that on FaceTime too. Teach intros using Twitter. And you can get most decent headlines into 280 characters, SEO or otherwise. Use Facebook groups as learning communities. Do news conferences on HouseParty. Use anything that engages an exhausted, stressed but still kicking generation which wants to be journalists…but essentially can’t afford to be. Or are afraid to be. Because there’s still many people out there saying they can’t. 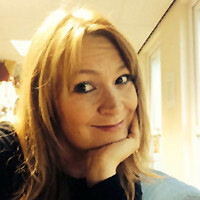 * Lisa Bradley is director of learning and teaching at the Department of Journalism Studies, University of Sheffield. She is a former deputy editor of the Wakefield Express.